It’s time for the office Day of the Dead party. Every year, you look forward to it with a mix of anticipation and dread. It’s always fun to celebrate death with your coworkers, but you never know what to wear to ensure you both have a good time and pay proper respect to the dearly departed. It’s even more difficult when you’re restrained by the office dress code, which requires dress pants and ties, even on casual Friday. Usually, you don’t even dress up at all, which makes the party decidedly less fun. How can you enjoy drinking to past generations when you’re stuck in a stiff starched shirt and suffocating tie? This year can be different! 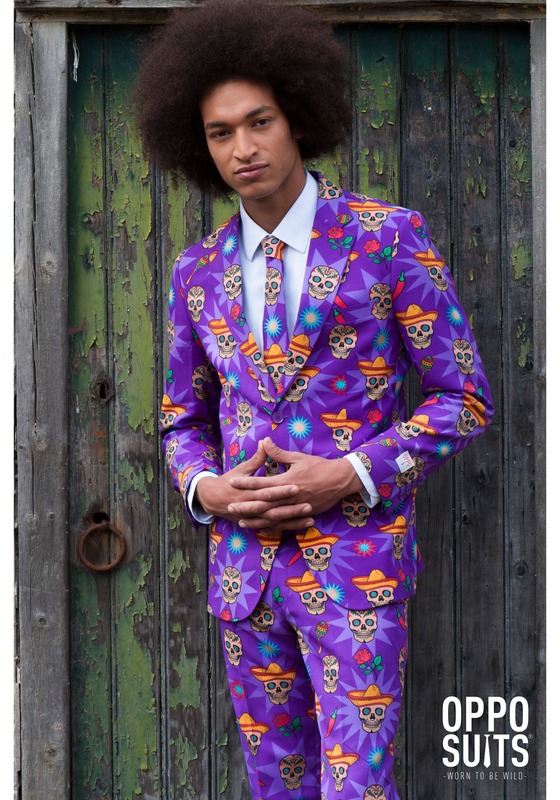 We have just the outfit for any semi-business Day of the Dead celebration… this Men’s OppoSuits El Muerto Suit. It’s business appropriate so that you won’t get dinged for violating the office dress code, but it also offers plenty of fun for every party! 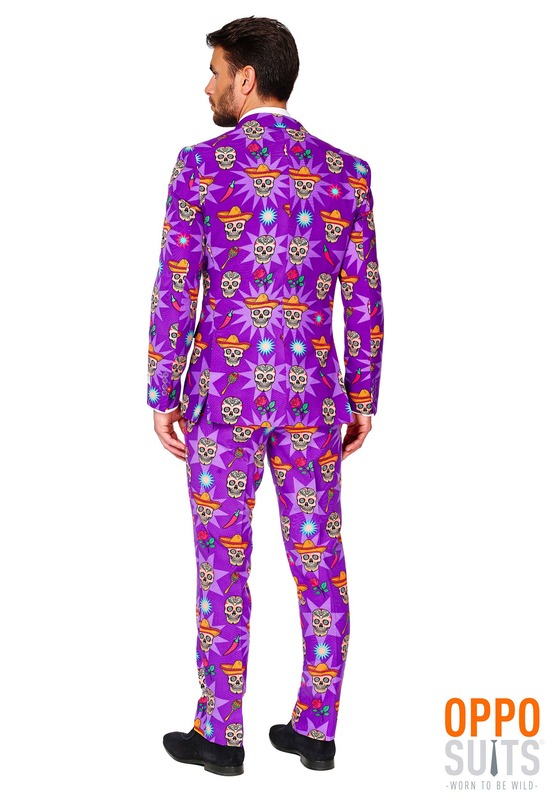 The purple suit is 100 percent polyester and covered in colorful grinning skulls. The stylish jacket has false pocket flaps and two buttons on the front, while the pants have both front and back pockets. They’re also intentionally long for styling on casual footwear (so you can hide the fact that you’re not wearing uncomfortable dress shoes). Plus, there’s the fashionable matching tie, which is a real tie and not one of those wussy clip-ons. 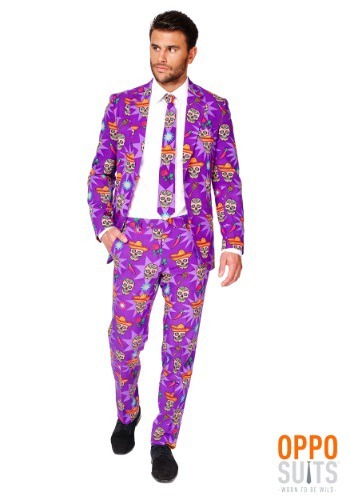 Slap on this suit and party ’til you wake the dead!